15 October 2012; Elle was honoured at the 19th Annual Women in Hollywood Awards back in 2012 at the Four Seasons Beverly Hills Hotel in this gorgeous black Francisco Costa for Calvin Klein dress with sheer elements and subtle white detailing. She raved about the dress in the video below! We just love the vintage-inspired tapestry bag and pumps! 23 June 2014; Elle attended the Tokyo premiere of her latest film Maleficent this past Monday and posed alongside co-star Angelina Jolie in this stunning floor-length Alexander McQueen gown fit for a princess. Her hair and makeup were absolutely stunning, perfectly following the goddess theme she has going on. Maleficent also made another achievement--$500 million at the box office! Congratulations, Elle! 7 June 2014; Elle was spotted on a sunny day outside of Vito's Pizza earlier this month wearing a very summery 1970's inspired outfit that consisted of a colourful tie-dye crop top, a short flowing denim skort, and maroon and white Dr. Martens strappy shoes. 5 March 2014; Elle was looking perfectly Easter-ready in head to toe pastels at Paris Fashion Week this past March, with a gorgeous houndstooth pleated dress, a powder blue coat, and Miu Miu floral heels. She is definitely ready to kick off the spring season in style. 4 August 2013; Elle was looking incredibly posh while visiting a friend one summer afternoon in a soft pink Opening Ceremony blouse, complimentary Isabel Murant studded leather pants, and classic single-strap pumps by River Island. Welcome to Elle Fanning Style, the first ever ultimate source for capturing Elle Fanning's signature look with exact matches as well as affordable alternatives. You will also find beauty tips to steal Elle's natural essence. Being very a interactive site, you may also submit pictures of yourself wearing an Elle-inspired look, or just an article of clothing that she may also own! Don't forget to leave comments and make requests! To be the first to know about new posts and news, click "Like" on Facebook and "Follow" on Twitter! Want your blog to appear here? Elle Fanning Style does not claim ownership to any images used on this site, unless otherwise stated. 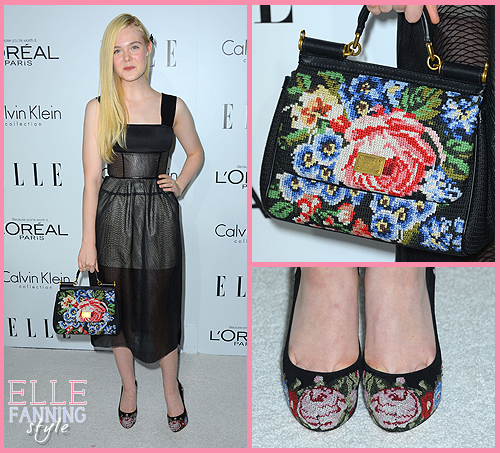 Elle Fanning Style is in any way affiliated with Elle, her manager, or any other persons affiliated with her. All outfit details are found by Elle Fanning Style site administrators, with assistance from CoolSpotters, and ShopStyle. Images of Elle Fanning used on this site are found on the Totally Elle image archive, or other various internet sources. 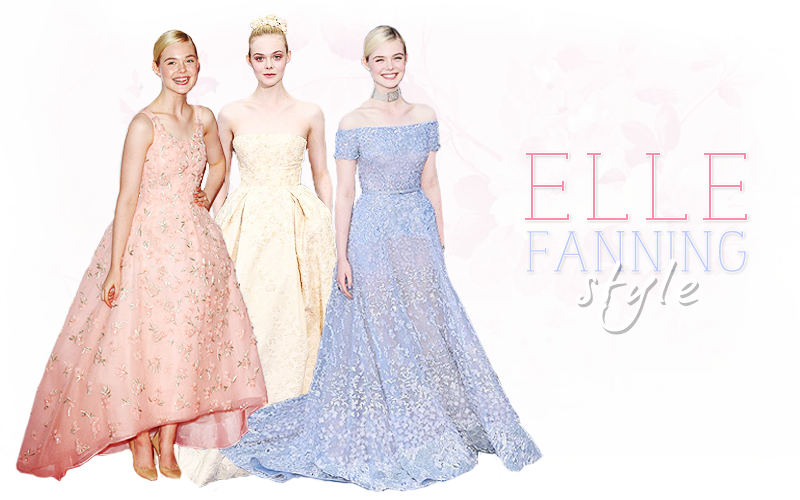 Layout properties © Elle Fanning Style. Simple theme. Powered by Blogger.